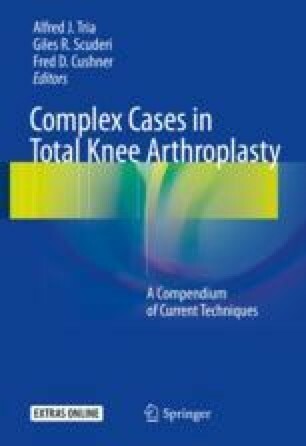 The primary goal of total knee arthroplasty (TKA) is to create a well-aligned and well-balanced knee. Femoral sizing and component alignment, as well as the balance of the extension and flexion gap, are requirements for a well-functioning TKA. Distal femoral preparation, sizing, and component placement, with attention to proper alignment in the coronal, sagittal and rotational planes, are essential in creating a well-balanced implant. The intent is to create a consistent flexion gap and restoring posterior condylar offset. The etiology of instability is due to failure to balance the flexion and extension gaps, and flexion instability develops when the flexion gap is larger than the extension gap .